This is an amazing collection of alphabet rakhi carefully crafted in silver and gold with certified diamonds from JewelsLane. This precious rakhi is the perfect gift for your loving brother with certified diamonds on the occasion of Raksha bandhan. 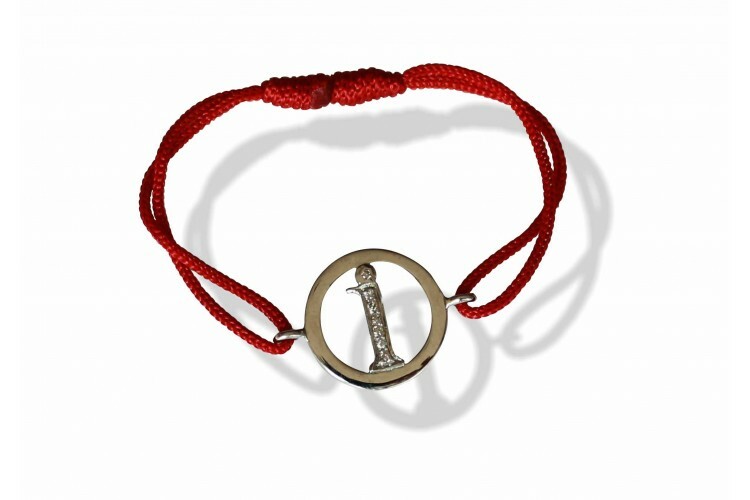 This I letter round rakhi is strung on a size adjustable strong red nylon thread. You can easily adjust the size of the rakhi. Gift this precious silver rakhi to your elder or younger brothers. You can use this precious rakhi as a bracelet and wear it daily. Make the special bond of sister and brother distinctive with this perfect epitome of affection.